Create a sweet fortune without breaking the bank! 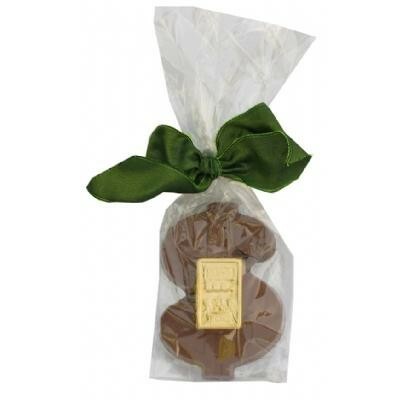 4.48 oz Clear cello bag filled with 1 chocolate candy dollar money sign and 1 chocolate candy foil wrapped gold brick. Mix and match chocolate candy flavors for no additional charge. Coordinate your ribbon color with corporate or theme colors. Price includes 4 color label applied to the bag. 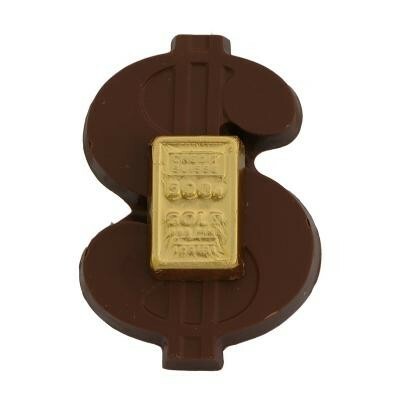 Makes a great food gift or bank financial institution lottery promotional giveaway.